The Community Foundation values the role of the Professional Advisor in donors’ charitable giving plans. We share the objective of ensuring that those who have philanthropic goals also have the opportunity and resources to meet those goals. Our hope is that as a Professional Advisor, you recognize our value and believe that it is advantageous to serve your clients’ charitable interests by encouraging contributions to the Community Foundation. Your clients can take advantage of the flexibility offered by the Community Foundation to create a customized fund tailored to his or her charitable interests, and it can be done quickly and easily. The Community Foundation has simple gift instruments for each type of fund offered. Most funds can be set up within a couple of days. Your clients can trust that their charitable intentions will be carried out in perpetuity. They can be assured that the Community Foundation is committed to their philanthropic goals. Donors can contact the Community Foundation for information at any time and may remain involved with the fund they have established. Your clients will receive the benefit of variance power. An advantage of establishing a fund with the Community Foundation rather than setting up a charitable trust in a bank is the variance power incorporated into the creating documents of the Community Foundation. If a charity designated by your client ceases to exist, or if the purpose of a gift becomes impossible to implement, the Community Foundation’s Board of Directors can redirect the fund to other compatible uses without going to probate court. Your clients will experience less administrative burden and expense, more favorable tax treatment and fewer restrictions than with a private foundation. Your clients will benefit from responsible stewardship.  Though a professional advisor primarily manages the assets of the Community Foundation, the Finance Committee of the Community Foundation monitors the performance of all investments regularly and continually communicates with the Professional Advisor. Thus, your client can be assured that their gifts will be invested prudently and will have a very good chance of earning relatively high rates of return. Your clients can take advantage of a popular attraction: Memorial gifts. We offer donors the option of establishing a fund in memory of a friend, relative or prominent member of the community. These funds carry the name of the person being memorialized, are open-ended and are usually designated for a particular purpose. The principal remains intact and the income is used to award grants related to the purpose of the memorial. Your client can receive financial benefits such as a current tax deduction for a gift to be made later. Also, your client can avoid estate taxes of gifted assets by removing assets from his or her estate now. In addition, your client may be able to increase his or her current expendable income.